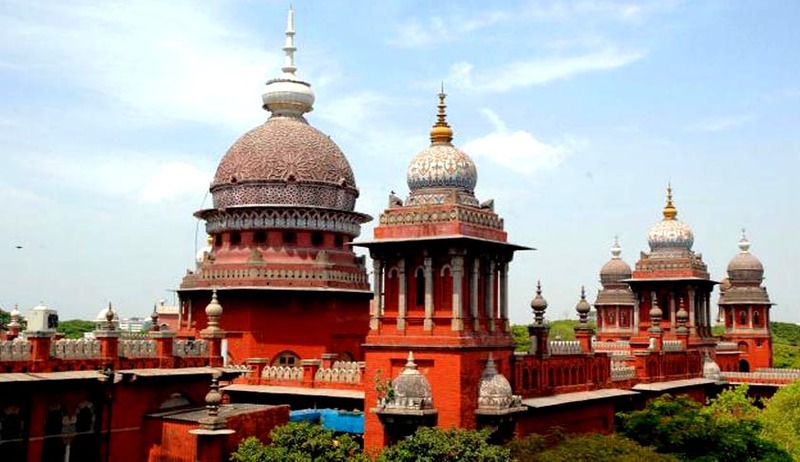 The Madras High Court has held in a recent judgment that a backward class (BC) Hindu, who embraces Islam, would continue to claim Backward Class status notwithstanding the conversion. Ayesha, born in a Hindu family, embraced Islam on November 28, 2005, and in August 2014 she obtained community certificate stating that she belonged to Muslim Labbai community. As per a July 19, 1994 government order, Muslim Labbai is a recognised BC community. She wrote the examination for junior assistant/typist group-IV in December 2014 and scored 153 marks. Though she was called for certificate verification, her application was rejected at verification stage on the ground that she was not eligible for the post as she was not a Muslim by birth. When no order was passed on her representation by the Tamil Nadu Public Service Commission, she approached the Madras High Court for relief. In a counter affidavit filed by it, the Tamil Nadu Public Service Commission said Ayesha could have applied only under “others” category where the upper age limit was 30 years. She was aged 32 years, and hence she was not eligible to apply for the post. Ayesha’s counsel said the issue was covered by an order passed by Justice Hariparanthaman in an identical case [M U Aariffaa’s case ]and added that the woman would be eligible if she is considered BC Muslim and not under open category. In M U Aariffaa’s case , Justice Hariparanthaman had held that denial of Backward Class community certificate to the converted Muslims amounts to deprival of the fundamental rights guaranteed to them under Articles 15(4) and 16(4) of the Constitution. "18. .......... But from that it does not necessarily follow as an invariable rule that whenever a person renounces Hinduism and embraces another religious faith, he automatically ceases to be a member of the caste in which he was born and to which he belonged prior to his conversion.. . If the structure of the caste is such that its member must necessarily belong to Hindu religion, out of the caste, because no non- Hindu can be in the caste according to its rules and regulations. Where, on the other hand, having regard to its structure, as it has evolved over the years, a caste may consist not only of persons professing Hindu- religion but also persons professing some other religion as well, conversion from Hinduism to that other religion may not involve loss of caste, because even persons professing such other religion can be members of the caste......... This is indeed not an infrequent phenomenon in South India where, in some of the castes, even after conversion to Christianity, a person is regarded as continuing to belong to the caste. ............. There are castes, particularly in South India, where this consequence does not follow on conversion, since such castes comprise both Hindus and Christians." Relying on the aforesaid decisions of the Apex Court, the Madras High Court in M.U. Aariffaa’s case had held that conversion to Christianity or Islam does not automatically result in the erosion of the caste mark. In para 96 of the judgment in Indra Sawhney’s case the Apex court had said : “96. Though in India, caste evil originated from Hindu religion that evil has taken its root so deep in the social structure of all the Indian communities and spread its tentacles far and wide thereby leaving no community from being influenced by the caste factor. In other words, it cannot be authoritatively said that some of the communities belonging to any particular religion are absolutely free from casteism or at least from its shadow. The only difference being that the rigour of caste varies from religion to religion and from region to region. Of course, in some of the communities, the influence of the caste factor may be minimal. So far as the Hindu society is concerned, it is most distressing to note that it receives sanction from the Hindu religion itself and perpetuated all through." Justice Hariparanthaman then passed orders directing the Tamil Nadu Public Service Commission to accept the application of R Ayesha, who embraced Islam in 2005 and applied for a typist’s post in 2014, as a BC Muslim candidate.